‘NCIS’ Season 14 Episode 21 Spoilers, Air Date, Promo: What will happen to the relationship of Quinn and Torres ? And Other Things You Need To Know. 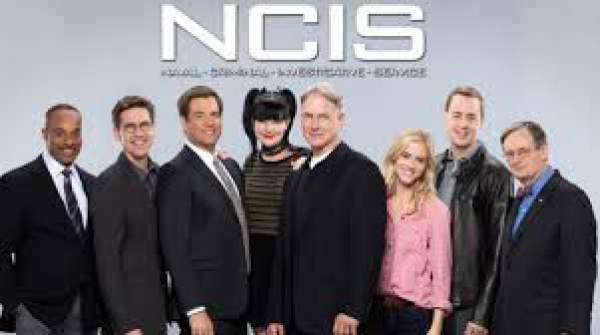 NCIS Season 14 Episode 21 Spoilers, Air Date, Promo: “NCIS” s14 is currently focusing on the Quinn and Special Agent Nick. In the upcoming episode of NCIS, we will find the Torres (Wilmer Valderrama) tackling an Important investigation. As per the synopsis is given by the TV guide, in the next episode titled “One Book, Two Covers” NCIS will be tapped to investigate the Death of Marine. Torres will lead the team as soon as it will reveal that old gang has a connection with him. Earlier in his past, Torres was working as an undercover agent in one secret mission. He was also a member of dirt bike gang for a year. In order to resolve the mystery of recent murder case, he will revive all his old documents and notes, related to group and will also be trying to get in touch with old contacts which will help him to get some answers. As we have seen previously on NCIS, Torres has lost his love due to cancer. Later in the episode, it also revealed that Torress and Quinn had intimate past at the time when they were at FLETC. There were several incidents when their love was visible. When Quinn did not come to office, Torres was worried for her and that time she went home to see her mother due to some emergency. Marie (Mercedes Ruehl) and Quinn’s mother are suffering from dementia and hence her memory became weak and can’t remember many incidents clearly. She is thinking that her husband is still with them who has been dead for three years. Due to this Quinn decided to live with her so that she can take care of her properly. Torres also supports Quinn for her decision. Marie also loved him. In the Last episode, the computer system of Vice Admiral Chase’s (Bruce Boxleitner) was hacked. Torres with other probed the incident. The hacker was asking for ransom. The virus got transferred to the phone of one of NCIS agent. But fortunately, under the leadership of McGee (Sean Murray), they resolve the case. NCIS season 14 episode 21 will air on Tuesday at 8 p.m. EDT on CBS network. Stay Tune to The Reporter Times for more update on your favorite shows. Previous articleGrey’s Anatomy Season 13 Episode 20 Spoilers, Air Date, Promo: Will Meredith and Nathan Express Their Love In ‘In The Air Tonight’? Next articleFairy Tail Chapter 530 Release Date, Spoilers, Promo: Anna Heartfilia Will Defeat Acnologia?